Our first year students are tasked with creating games using non-standard input devices – ie. not a controller or keyboard and mouse. They often end up having to build custom hardware as well as program the games. What does that mean, in practice? It means that we have a great many weird and wonderful games on our showfloor (for you to play!). Kotaku loved Totally Not a Game Studio’s “Grave Call“. It’s a fantastic 2-player game where one of the team has been buried alive, and the other is a police operator trying to find them. The best part? The buried player actually climbs into a coffin. Other outlets that wrote about our student games includes Polygon, The Verge, Tom’s Guide and Newsweek! Of course, reading about these games is not the same as playing them! If you want to try our new games out (without having to travel to the US to do so! ), come to our conference in June! 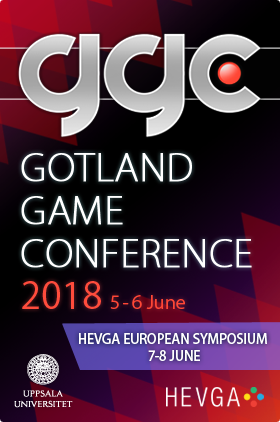 We even have a Pay What You Want-option for you, to get full access to ~50 entirely new games, plus a series of unique presentations trying to uncover the emotional potential of games. It’s also a great opportunity to meet our students and faculty, if you’re interesting in studying game design and development.